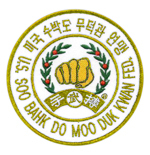 The Soo Bahk Do Institute provides video instruction with significant importance for the senior, high ranking, martial artist. As we become more skilled in any activity, we realize that all of the techniques and exercises are essentially the same – they only appear different to the novice. At our level, we train to integrate the physical, mental and spiritual aspects of all of our martial arts repertoire, and then to apply them to our daily lives. This is the gift of the arts and the reward for our many years of training. Because the martial arts are about “feeling”, a sensory activity, rather than thinking, it is based on an Action Philosophy – a committed approach to life. The magic isn’t in the technique, but is in each of us as we perform it. Each new technique and different technique that we learn provides us with a variation of how we integrate the martial arts in our performance and our lives. Most great athletes will say that at first the performance seemed complex and often confusing, but the more they did it the simpler and easier it became, because they integrated it within the natural level of their performance. Learning, training and performing any activity should be natural and ultimately easy. We have worked toward that end. The spirit or “intent” that a practitioner brings to their performance, is the key to the continual development of the most advanced martial artist. Performing any technique effortlessly and spontaneously is the ultimate goal, letting “intent” be the guide. Each new activity and situation is a test of the performer’s sophistication and total body/mind/spirit integration. Provided here in the Soo Bahk Do Institute videos, are many opportunities to apply and test your highly developed skills and your personal development in the arts. Since I began training in the martial arts in 1958, I have experienced many variations of techniques and approaches to training. They all assisted me to become a successful martial artist, college athlete and most importantly, a successful person. As an example, one of the videos available on the site is the Birdie Exercise. Students of various rank levels are shown participating at their individual level of skill and understanding. One of the students had not been previously involved in the activity and several others had for many years. That’s the beauty of martial arts training. The late Grand Master Hwang Kee, the Founder of Tang Soo Do / Soo Bahk Do Moo Duk Kwan, stated that we must continue our individual training which is the foundation of who we are as a true martial artist. I invite all of my fellow “seniors” to take advantage of the material offered in the Soo Bahk Do Institute.